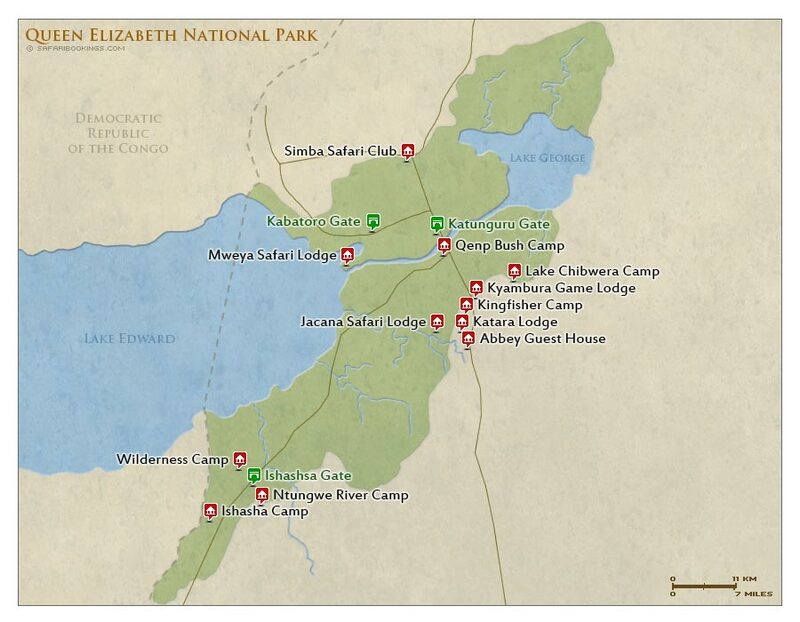 Queen Elizabeth National Park – Travel Guide, Map & More! Leopard sightings are common, and the Isasha sector is famous for its tree-climbing lion. Huge herds of buffalo and elephant are found in the savannah areas of the park. An amazing number of hippo inhabit the Kazinga channel on which daily boat trips are conducted. 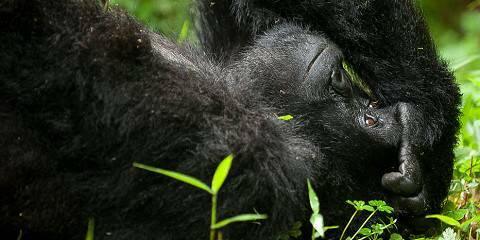 Chimps can be tracked, and several antelope and other primate species are present. Giraffe and zebra are absent. 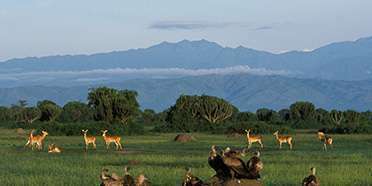 The park is set against a backdrop of the Rwenzori Mountains. Additional scenic points are Kazinga Channel between Lake Edward and Lake George and at least 10 crater lakes. The most accessible part of the park is open savannah, but large forest areas are open to the public. 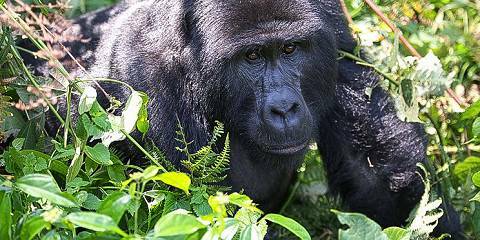 These include the forested Kyambura Gorge and the extensive Maramagambo forest in the southeast. 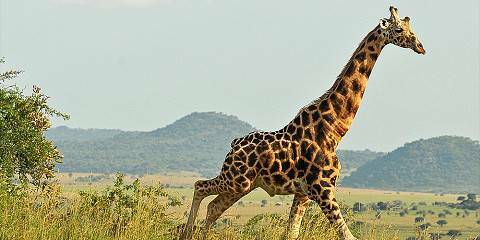 Queen Elizabeth National Park’s nearness to the equator ensures uniformly warm temperatures throughout the year. Heavy rain that makes some roads impassable is a feature of the region’s two Wet seasons (March to May and August to December). Although there’s no official Dry season, the rainfall abates somewhat – though rarely entirely – from January to February and June to July. Although constant drizzle often characterizes the days of the Wet seasons (March to May and August to December), this is when the park’s environment is beautifully lush and you can greet migratory birds as they pass through. For chimpanzee trekking, though, visit when the park’s trails are more solid underfoot in the drier months. Had a major highway running along the park. Not a large variety of wildlife in our area. Was underwhelming again.